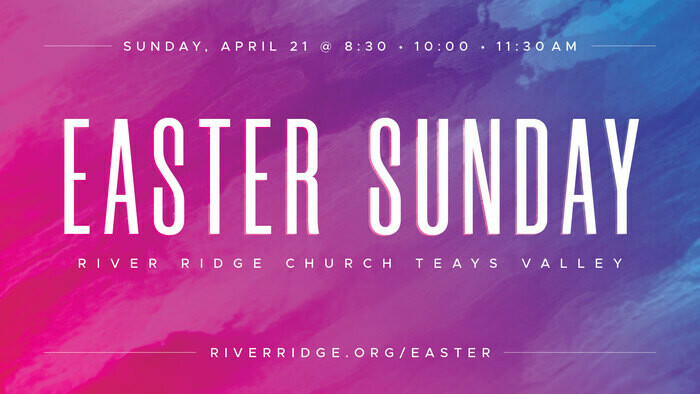 We invite you to join us at our Teays Valley Campus on Sunday, April 21 as we celebrate the resurrection of Jesus on Easter Sunday. We will offer three services - 8:30 am, 10:00 am or 11:30 am. 8:30 am Service Registration: In order to make room for new guests during our peak service times in Teays Valley, we are asking for 200 families to consider attending the 8:30 am service. To help us plan, please click here to fill out the form and register for the 8:30 am service.